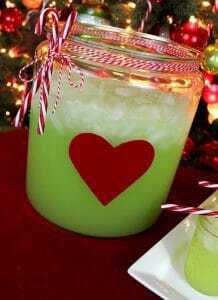 The Grinch is one of the most beloved Christmas characters, even if his heart is two sizes too small. 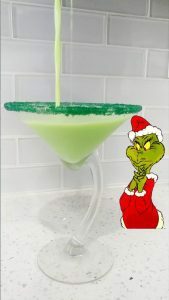 We all know a Grinch, or sometimes we even are a Grinch! 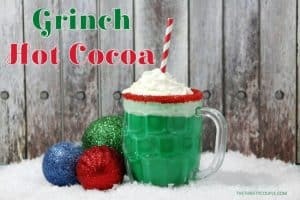 I’m excited to see the new movie that just came out. 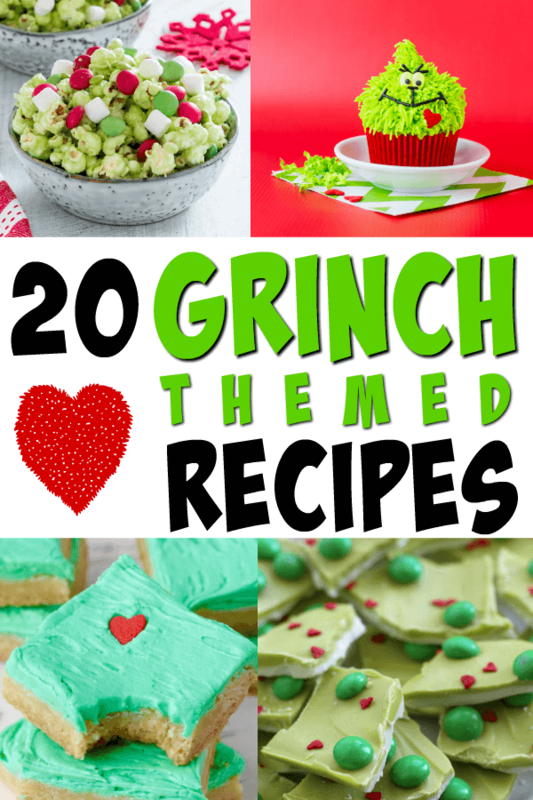 So, of course, we all need some fun Grinch themed recipes in our life this time of year! 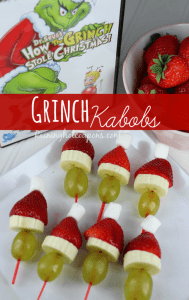 Whether you’re having a Grinch-themed party or just want a fun treat to take to a party. 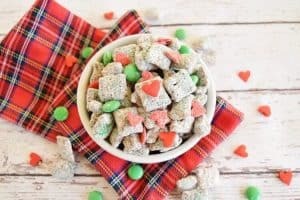 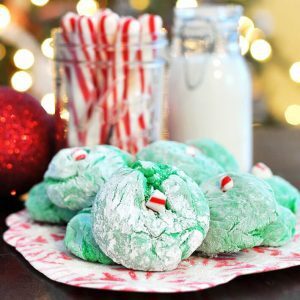 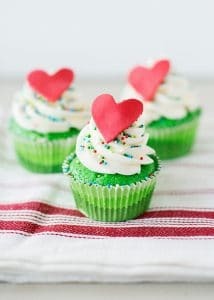 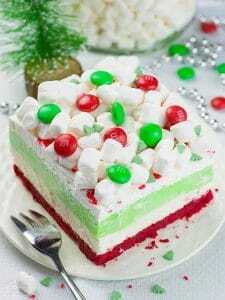 Check out these 20 Grinch recipes for Grinch desserts, Grinch treats, Grinch holiday drinks, and Grinch snack ideas. 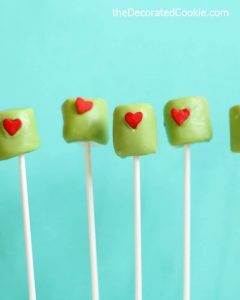 Good luck choosing just one to make! 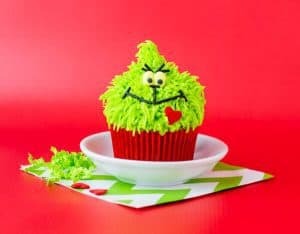 Jazz up the dessert table with these fun Grinch themed desserts and treats. 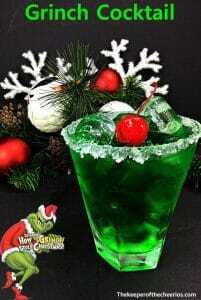 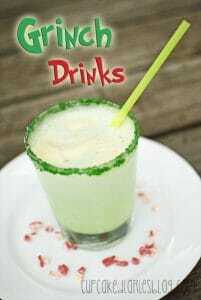 Yum, these drinks are fun enough to improve even the Grinch’s mood. 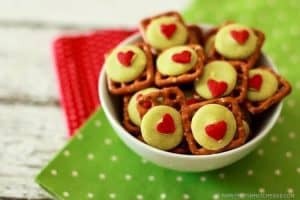 There are adult and kid friendly ideas to be found here. 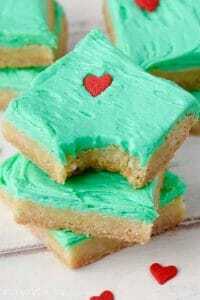 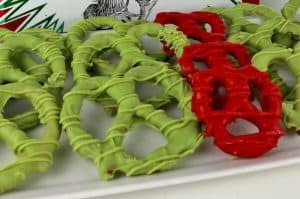 Looking for treats for a party, movie night, or school event? 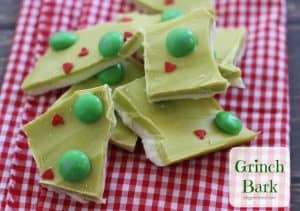 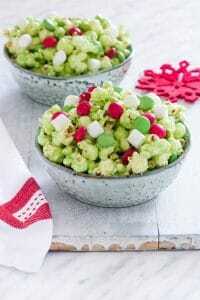 These Grinch snack ideas are sure to be a hit! 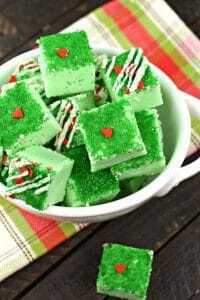 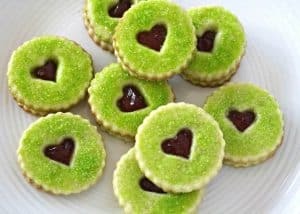 Check out these other holiday related treats!